Materials. The interaction between electrons and photons is defined by the laws of quantum mechanics. The challenge is to find new materials, structures, and manufacturing technologies that allow data to be handled at high speed while using small amounts of energy. Devices. Based on new materials and structures, it is possible to create new lasers, photodetectors, modulators, and other optical components that can be integrated into new advanced optical devices. Networks. From high-definition video streaming to real- time, mobile medical and educational applications, modern networks face ever-increasing demands for bandwidth and flexibility. New networking concepts are required. This book gives you an inside view, from COBRA, one of the leading research labs. 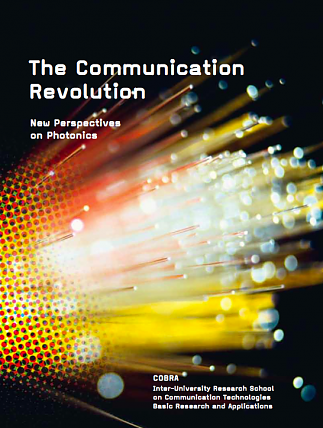 It shows how photonics can revolutionize our communication technology.